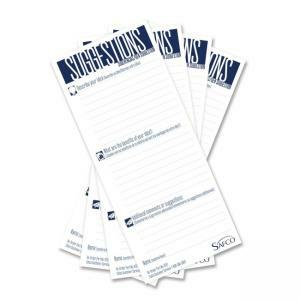 Suggestion Cards are designed as a refill for Safcos Suggestion Box. 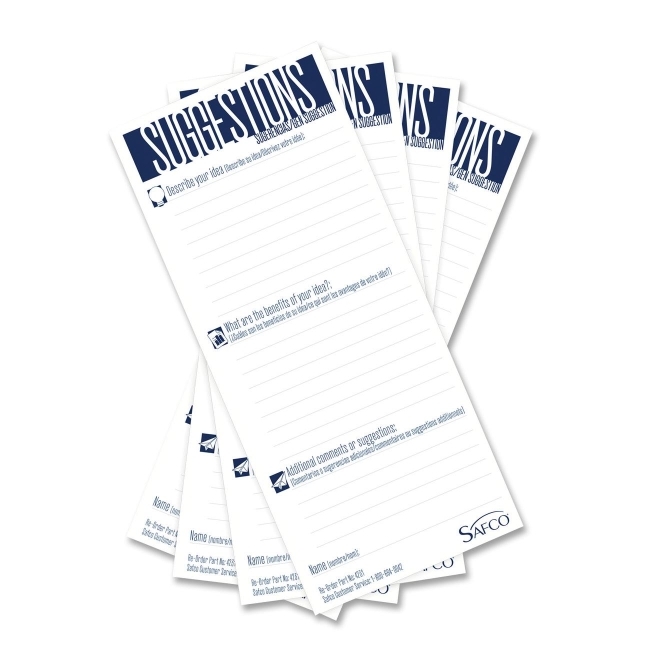 Card heading reads "Suggestions" with the subhead, "Help Us ... Help You!" and tops four boxes. The first box offers the direction, "Describe your idea:" and eight lines. The second box reads, "What are the benefits of your idea:" and has six lines. The box for "Additional comments or suggestions:" has five lines. The fourth box offers a space for name. $8Tops Black Image Carbonless Snap-Off Statement Set - 8.50" x 5.50"